IMR International announced on Feb. 16 that BAFTA® nominee Jamie Dornan (Fifty Shades trilogy, “The Fall”) and Sam Claflin (Me Before You, The Hunger Games: Catching Fire) will join BAFTA® nominee Brian Kirk’s (“Game of Thrones”, “Luther”) hotly anticipated action thriller, Borderland. The adaptation was written by BAFTA® nominee Ronan Bennett (Public Enemies), and will be produced by Chris Coen (The Childhood of a Leader, Funny Games) under the Unanimous Entertainment banner, Rebecca Brown (In the Dark), and Alan Moloney (Mary Shelley, Siege of Jadotville) for Parallel Film Productions. IMR International will introduce the project to international buyers in Berlin, CAA will represent domestic rights with UTA. Set in 1970's London, Borderland is a high-octane character-driven thriller, in the vein of Michael Mann's Heat. After his wife is accidentally shot dead in Ireland, a member of the IRA takes over an Active Service Unit in the English Capital. Their mission is to cause chaos and destruction while his mission is to hunt down his wife's killer - an SAS captain (Sam Claflin) who is also hunting him. Principal photography will begin in the summer in Dublin and London. Dornan starred in the Fifty Shades trilogy for Universal Pictures which has earned $1.145b in the worldwide box-office. This year, he will appear in Otto Bathurst’s “Robin Hood: Origins,” as Will Scarlet and in Sacha Gervasi’s “My Dinner with Herve,” alongside Peter Dinklage for HBO. He recently wrapped production on Matthew Heineman’s “A Private War” alongside Rosamund Pike. 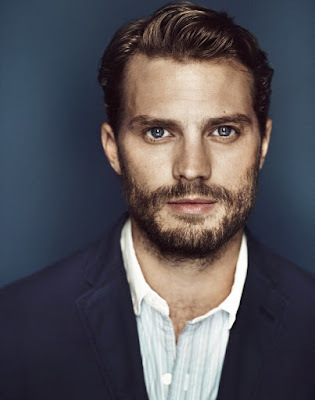 Dornan’s television work includes a lead role in the acclaimed drama “The Fall,” which earned him a BAFTA nomination. Claflin has recently starred in My Cousin Rachel, Me Before You, Their Finest and Journey’s End. He recently completed work on Jennifer Kent’s psychological thriller The Nightingale and will next be seen in Baltasar Kormákur’s drama Adrift, starring alongside Shailene Woodley. Dornan is represented by Troika and UTA, Claflin is represented by CAA and Independent Talent Group. Kirk is represented by Independent Talent Group and Bennet is represented by CAA and Tavistock Wood Management. IMR is also launching sales in Berlin on Academy Award® winner David Frankel’s true-life biographical drama, What Is Life Worth with Michael Keaton and The Tale of the Allergist’s Wife starring Bette Midler and Sharon Stone. The sales slate includes: Vigilence starring Sandra Bullock; Jacques Audiard’s The Sisters Brothers starring Jake Gyllenhaal and Joaquin Phoenix; and Anne Fletcher’s Dumplin' starring Jennifer Aniston.